October 1797, Il faut danseur. 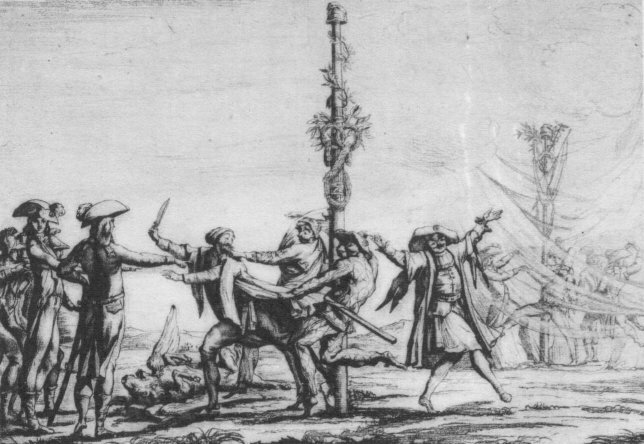 The people of Italy depicted in their regional masks, forced to dance around the Tree of Liberty by the French revolutionary troops of Napoleon. This is an anonymous caricature probably published in Venice after the treaty of Campoformio. On 4th June 1797, less than a month after the fall of the Republic, a procession led by the President of the Municipality moved towards the Tree of Liberty in St. Mark’s Square, where the emblems of the Doge and the Golden Book, the register that contained the names of the Venetian patricians, would be symbolically burned in front of the people and the representatives of the new institutions. The church bells rang and many Municipalisti danced La Carmagnole, the hymn of the Revolution, around the Tree of Liberty. Among them, some of the most rowdy were the most famous ladies of the polite society, like Marina Querini Benzon, the owner of one of the two most famous salons in Venice, the other being Isabella Teotochi Albrizzi’s. Benzon danced with a friar, Father Lojano, who was so caught up in the dancing that he tumbled on the square. The Republic had fallen some weeks before, on 15th May 1797, when the French troops entered the city of Venice lead by General Louis Baraguey d’Hilliers. The new government, the Municipality of Venice, replaced the Doge and the old Patricians, and many Venetians believed the occupying army had come to bring liberty, equality and fraternity. Unfortunately, they soon changed their opinion when they realized that the reason for the invasion was political and not moved by high ideals. In fact, the destiny of the Republic was decided a few months later by the Treaty of Campoformio, on 17th October 1797, by which Venice was handed over to Austria. From that moment, both Republicans and Municipalisti understood the real intentions of the Corsican General, as their city would be used as a trade-off with Austria. Soon afterwards, the French started looting the city, with the purpose of leaving nothing to the successors. They stole all the gold and silver they could find, even from the churches. The Bucintoro (the Doge’s ship) and all the ships of the Venetian fleet in the Arsenal were destroyed. The four bronze horses above St. Mark’s Basilica and the old lion over the pillar in the piazzetta in front of the Doge’s palace were sent to Paris, to embellish the squares of the French capital. Some works of art formed the basis for the Louvre’s art collection, and were never returned to Italy. Giacomo Casanova wrote an interesting letter to his friend Pietro Zaguri, summarizing in a few lines what he thought would happen to the city of Venice now that the Republic had fallen. He seemed to denounce the irresponsibility of the patricians, who by leaving the city to her fate were actually condemning her to decadence. What will happen now to the city of Venice? This city could exist in all its wealth, splendour and beauty only when a capital, inhabited by the aristocracy who governed the Republic. When you are all gone, you patricians, to live on the mainland, Venice will waste away. And is it not true that you are leaving? What would you do in Venice, when you have nothing to do? It’s a pity that, now that you are leaving, you won’t be able to bring with you your beautiful mansions. You would only remain on the strength of an inconceivable material attachment, because the air on the mainland is better than that of the lagoon, coaches are more pleasant than gondolas, and horses are worth more than gondoliers, even though the former are less humorous than the latter. Such was also the mood of the Venetians who were witnessing the looting of their city. They knew that it would be the end of an entire society, where an ancien régime of patricians, doges and dusty institutions was disappearing. Following Campoformio, the French left on 18th January 1798, handing over the city to the Austrians, who arrived that same day. 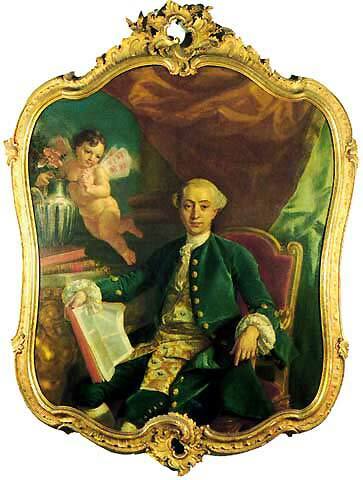 Giacomo Casanova, who at the time was spending his last years at Dux as a protégé of Count Joseph-Charles Waldstein, died some months later on 4th June 1798. And it is from one of Casanova’s best friends, Lorenzo Da Ponte, that we have a direct account of what was the situation of the city under the Austrian rule. The French government had actually brought the city to economic collapse, and even though the Austrians tried to reduce taxation, Venice could not get on her feet again. Also, in the mainland territories the number of beggars increased and many of them wanted to reach the city looking for help. 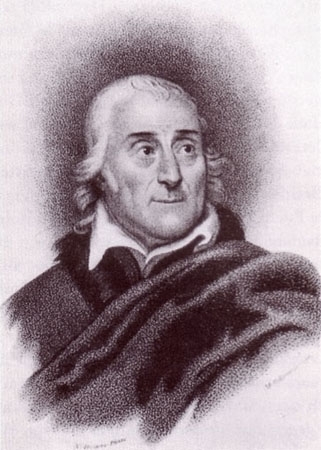 Lorenzo Da Ponte arrived in Venice on 7th November 1798, at the time when it was under Austrian rule, while he was touring the cities of northern Italy in search of singers to bring to London for the upcoming opening of the opera season at the King’s Theatre. While in Italy, he thought he would like to see his Venice and St. Mark’s Square, which he hadn’t seen for around twenty years. Da Ponte writes that he had heard of the pitiful conditions in which the city was, but what he heard was nothing compared to what he actually saw. Going towards St. Mark’s Square, he entered from the direction of the Clock, from where you can’t see the square until you have completely passed the arcades. He was surprised and upset at seeing that there were just seven people in the whole piazza, in which desolation and silence reigned. In the old days the square had been crowded with joyful people. Walking along the Procuratie (the long colonnade around St. Mark’s Square), he noticed that even the coffee shops were empty: in eleven of them he only counted 22 people altogether. The following day, on 8th November 1798, he went out early in the morning because he “wanted to see the city in all her aspects”. In St. Mark’s Square, he noticed there weren’t many more people by late morning than in the evening before. He entered a coffee shop whose owner he knew, and there he found six or seven men drinking and talking politics. They said that the new masters had brought hard times for the population of Venice, as the price of goods increased, the tax on coffee doubled, and there was a municipal tax of 60% on salt, tobacco and sugar. Also, the Austrians were asking the city two million silver piastre, making the situation even more unbearable. As the occupiers introduced censorship and forbade political discussion, the shopkeeper asked the patrons to stop talking politics as he “wouldn’t like to taste the Austrians’ military clubs”, as had happened to a couple of Venetians the previous night, beaten by soldiers and led to the police station where they were held prisoner until morning. Leaving the coffee shop “more sad than a son who cries at the death of his mother”, Da Ponte walked towards the fish market in the piazzetta, when an old man, with a pale face and the appearance of a beggar, thinking that Da Ponte wanted to buy some fish, asked him whether he could help him carry the fish home. 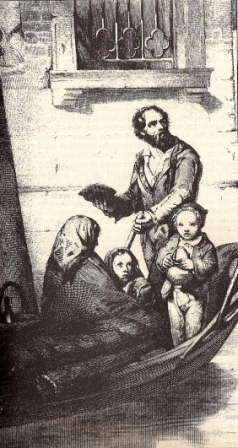 Da Ponte recognized him as the brother of a lady he had loved for three years; now he was an “honourable beggar”, in rags, without hat or shoes. He was from one of the “noblest and most ancient families of Venice, that produced Doges, Procurators of St. Mark, admirals, prelates and magistrates. His uncle had been Inquisitor of State and his grandfather Ambassador at Constantinople.” He told Da Ponte that at the Republic’s fall, more than 300 families fell into poverty and humiliation, and warned Lorenzo to depart from the city as quickly as he could, as it would be too dangerous for him to remain. Venice was no longer the city he used to know twenty years before. The old man added that fear and hatred had destroyed all commerce and means of earning, creating a thousand opinions, parties, rivalries among citizens, and a situation where everybody was ready to do anything in order to live. The young were forced to fight far from their country and only women, children and old men remained in the city. It would take too long here to recall the historical vicissitudes of the Serenissima at the beginning of the 19th century. It is just enough to remember, however, that on 2nd December 1805, Napoleon defeated the Third Coalition at Austerlitz, also known as the Battle of the Three Emperors, and was thus able to sign the Treaty of Pressburg, allowing him to incorporate Venetia (the former territory of the Republic of Venice, now Veneto), Istria and Dalmatia in the Kingdom of Italy. It was only on 16th April 1814, that Venice was returned to Austria, after Napoleon’s defeat. Therefore, Venice was under Austrian rule again when two illustrious Englishmen, nearly twenty years after Da Ponte’s account, witnessed how the situation hadn’t changed much. During their travels through Italy, Byron and Hobhouse also visited Venetia. In Vicenza, they were shocked by the number of beggars that asked for money in the streets and squares of Palladio’s home town. In Venice, however, the situation was even worse, because, as had happened to Da Ponte in 1798, they found that even aristocrats were forced to beg. While walking in St. Mark’s Square, the two Englishmen noticed that they were being followed by a nobleman, who, hat in hand, was begging for some coins. Hobhouse was so shocked at such a sight that he told him abruptly to put the hat on, and Byron gave the poor man two francs before dismissing him. One of my favorite stories about this time period–the Austrians, tired of eating crap from the Venetians for so long, we’re going to show the newly handed over Venice folks a thing or two, and they went about smashing the lions off the wellheads and other public spaces wherever they found them, as they weren’t going to leave the symbol of the city untouched. Only a few remain…and I actually found one by accident wandering in Venice years ago. 🙂 But most of the wellheads in the piazze are devoid of lion faces for this reason. Thank you for your comment! What you say would deserve a separate post.. Also, before the Austrians, Napoleon ordered all the marble lions in the mainland to be destroyed, but they had luckily been preserved by the officer in charge of that task, because he was Italian.